A fest like Invictus is built on the participation received from the myriad colleges of the country. Inviting colleges from across the country is a delicate matter, and no mean feat to boot. Here, we speak to Vidarshan, of the Invitation Committee, who were all charged with this significant task. 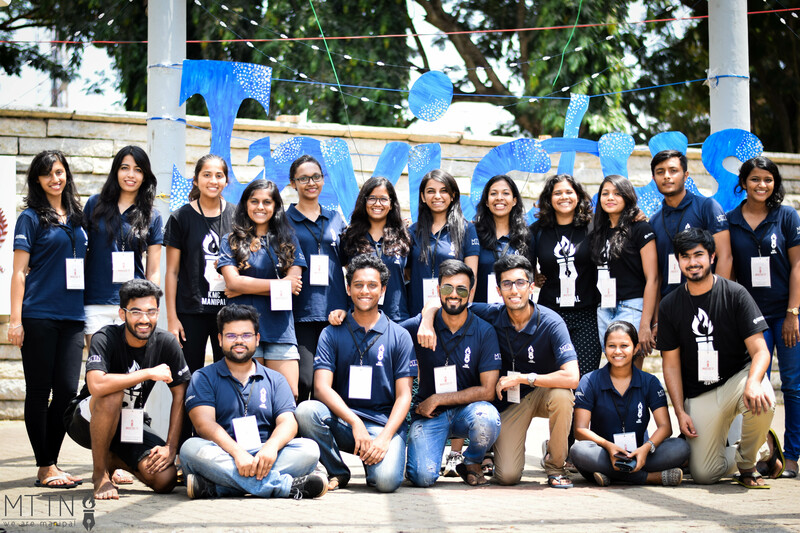 MTTN: Invictus 2017 was organized with passion and dedication under an enormous time crunch. What was your plan to cover the maximum number of colleges possible in the little time you had? Vidarshan: My most important job was getting the right people for the job. Then it was just getting regular updates from them and helping them out whenever they need you to. I had the most amazing set of people helping me. They were super enthusiastic and wanted to help. MTTN: What are some of the more unusual, funny or rude responses you got from the people you contacted? Vidarshan: The people we were contacting were student councils of other colleges or student representatives. We had a script ready, and we used the same one for all the people we contacted over the phone. So many people hung up on us even before we could get to the second line of our script. There were student council members and other student representatives who refused to publicize the event in their college because they had had some sort of falling out with their student body. And of course, can’t not mention this, all the girls in the Invitation committee got hit on and by the time Invictus started, they had all received at least a few creepy texts. The thought that immediately follows the invitation of a college from a place far removed from our own, is arranging their visit and stay. The Transport and Accommodation Committee fulfilled this task with incredible grace and panache, allowing the fest to be a smooth experience for the participants from far and wide, even beyond when they were in the events. Here we talk to Aditya Grama to glimpse the inner workings of the same. MTTN: How did your committee work? How was work distributed and what were the different tasks you had to complete? Aditya Grama: Well, basically we split the duties of accommodation and transport. I was in charge of accommodation and Shreya in charge of transport. So we had about 12-13 volunteers who were there to help us during the fest which we again split into accommodation and transport. The arrangements of booking hostels had to be done 3-4 weeks in advance where I went to the chief wardens of MIT and KMC and booked the accommodation. But the real work started during the fest. Since I was in charge, as soon as any team arrived, I was the one they called. I would find out which college they are from, and how many of them had arrived, and then assign a couple of volunteers to put them in a hostel depending on whether some members of their college had previously arrived or how many rooms were left. We would bill them for the first couple of days initially and then charge them on a daily basis. The volunteers would basically have to keep an account of who was staying in each hostel and when they would have to pay for their accommodation. MTTN: What were some of the challenges you faces in organization? Aditya: One of the biggest was waking up at odd hours to pick up the colleges and managing with lack of sleep during the first 3-4 days was extremely hectic. And another was filling up the hostels in such a way that people from the same colleges were at the same hostel as most of them arrived in small groups at different times. And we had also booked an external lodge apart from the hostels just in case hostel accommodation wasn’t enough.